Romeo and Juliet are fish. The rumble of the train knocked the tank off the shelf. 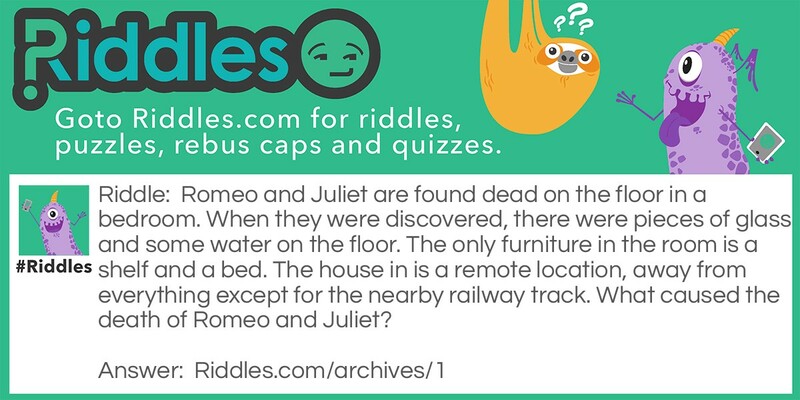 Romeo and Juliet Riddle Meme with riddle and answer page link.